Awesome!!! 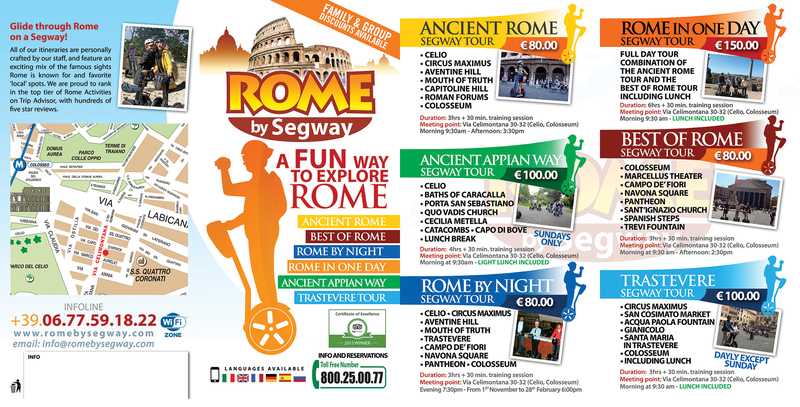 We had a wonderful tour of ancient Rome by Segway today. Marcello was a fantastic guide and the tour was certainly a great way to see many parts of Rome that we were not even aware existed. I would highly recommend this trip to anyone visiting Rome. Thank you. I already wrote a short review on trip advisor but would like to leave a personal thank you to Eric here. He was so nice as to change the route of the Baroque tour slightly and show us how Rome looks like at sunset from the Villa Borghese park. I would like to thank you for a great experience. We took the baroque tour because it covers a large part of Rome. Our guide was very friendly and told us all about life in Roma. Next time we will certainly book the tour again! 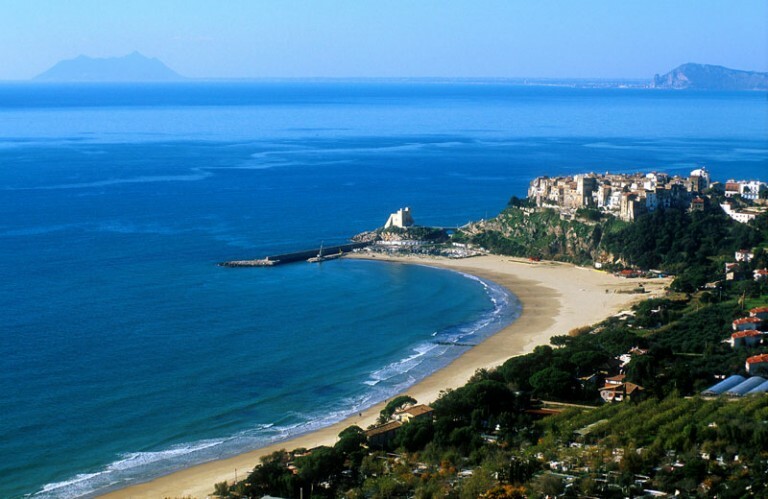 Eine fantastische Tour und ein super netter Tour-Guide. Danke Roberto! Angenehmer und leichter habe ich noch keine Stadt erkundet. Der Segway ist das ideale Gerät für Stadtführungen. Wer es noch nicht ausprobiert hat, sollte es unbedingt tun. Es macht einfach Spaß. Viele der angesteuerten Orte hätten wir ohne diese Führung niemals gesehen. Bei ca. 30 Grad fast lautlos durch die Stadt zu gleiten war einfach klasse. No better way to cover a wide area of the city, but still staying connected at street level. Our guide was Arthur, who as many other reviews will bear out, was great. He’s really knowledgable, clearly loves Rome and it’s history and he has a great demeanour. Thanks again Arthur, it was a highlight of our 4 days in Rome and as you know, Rome has a lot of highlights! Thank you very much. That was an amazing day, Kate, our guide was very nice and everything was very interesting! Very easy to learn (within 5 minutes). a lot of information in a short time period : Perfect! I did the Segway tour this morning and I couldn’t wait to write a top review for you!!! I had a wo derail time… Saw so much of Rome with an excellent excellent guide! Wish I had more time to do another one!! Was a highlight of my trip! Thank you for a great Segway experience. Myself and eight friends took the Imperial tour during our Italy holiday. GREAT time!!! Five had never been on a Segway before with one wavering on not going through with it. By the middle of the tour she was inquiring about the cost of purchasing one! Our guides took us to places that would have required four days to see by walking. They were extremely informative & entertaining. HIGHLY RECOMMENDED! We did a Rome by Night tour and we were blown away. It was by far our favorite tour that we did while we were in Rome (we did 4). I recommend this tour to anyone and everyone. Our guide was very well informed and we had a great time getting around town and seeing the sights. The segways are very, very easy to use. I just want to extend a great big Thank You to Marco and his company. This experience is now a part of our lifes memories.